Xiaomi has quietly announced the new Redmi Note 6 Pro in Thailand and while the quiet launch is pretty surprising, we are glad that the Redmi Note 6 Pro is finally official, after so many leaks and rumors. The Redmi Note 6 Pro brings a number of upgrades over the Redmi Note 5 Pro, including the notch, but the most interesting upgrade has to be the new quad cameras. 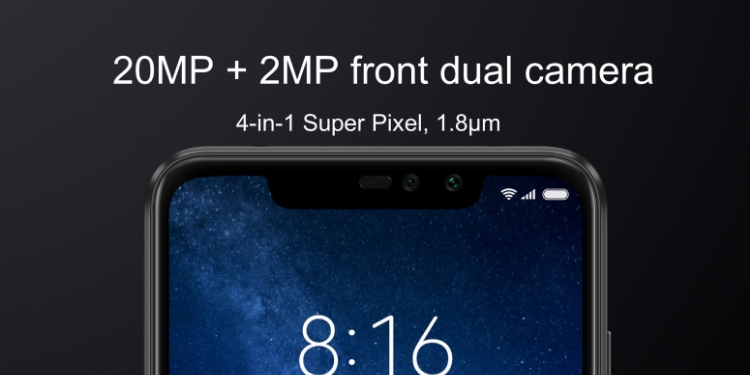 Yes, the Redmi Note 6 Pro comes with a dual camera setup on both the front and the back, making it the first Xiaomi phone to have dual selfie cameras. 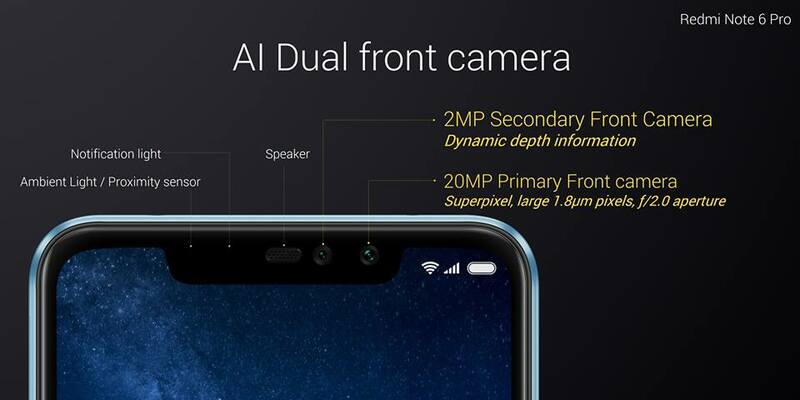 The dual camera setup on the front includes a 20MP f/2.0 primary camera along with a secondary 2MP depth camera sensor. The new setup should bring improved portrait mode selfies. I mean, the AI Portrait Mode in the Redmi Note 5 Pro’s front camera is decent enough but it still has its flaws. The secondary depth sensor in the Note 6 Pro should ensure that the portrait selfies have more natural blur and better edge detection. Apart from that, the Redmi Note 6 Pro seems to have the same dual camera setup on the back as the Redmi Note 5 Pro, which includes a 12MP f/1.9 primary sensor plus a 5MP depth sensor. However, the Note 6 Pro will come with AI Scene Recognition, which isn’t present on the Redmi Note 5 Pro. Well, I am mostly excited to try out the new dual cameras on the front but I am not sure when we will be able to try it out because we contacted Xiaomi asking them about the Redmi Note 6 Pro India launch and they denied commenting about it. Well, the Note 6 Pro has gone on sale in Thailand for 6,990 baht (approx Rs 15,999) and some users have already received their unit. So, the phone should arrive in India pretty soon.